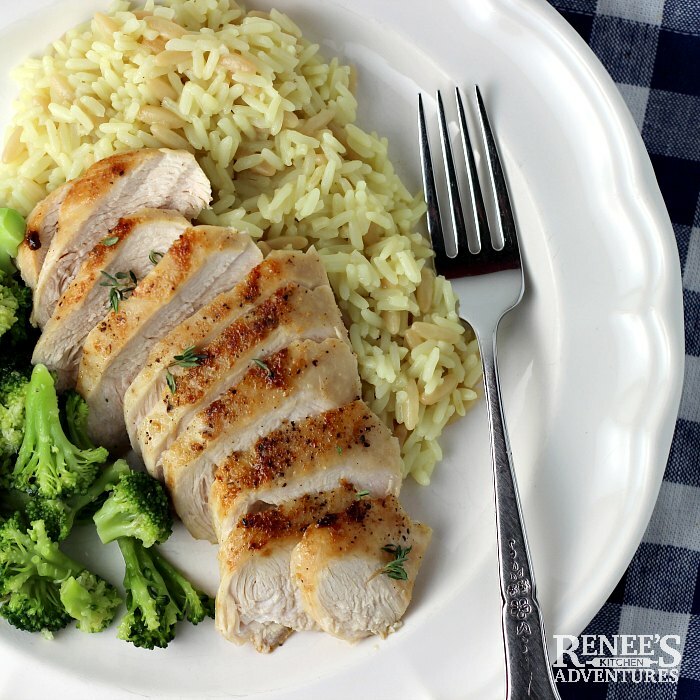 This recipe for Pan Fried Chicken Breast is something you'll be making often! It's my "go to" boneless chicken breast recipe and what I think is the best pan fried chicken I've ever had. It's low carb, Keto, gluten free, and Weight Watchers approved. It's also cooked and on the table in under 30 minutes! How's that for fast and healthy chicken recipes? Over the years, I've had the opportunity to perfect the pan fried chicken breast. That's because my daughter only ate one protein growing up...the infamous boneless chicken breast. Even on nights when the rest of my family was enjoying beef, pork, or some other animal protein, I often whipped up a pan fried chicken breast for her. To say she was picky, was an understatement. But, we survived. And I'm happy to say now that she is a young adult in her 20's, her palate has expanded way beyond boneless chicken breasts. But every cloud has a silver lining because I can now make the best pan fried chicken breast ever. Around here, we call this Plain Jane chicken. If you follow me on Instagram, you might have seen my story about this chicken breast recipe already! 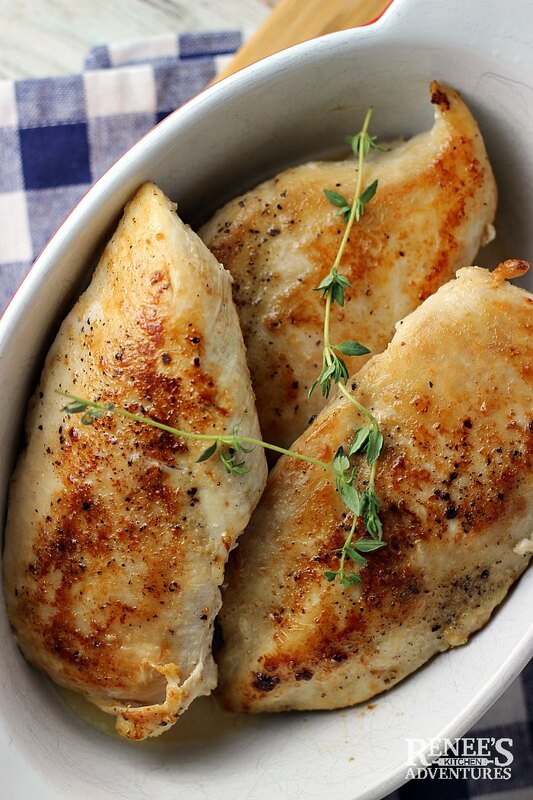 Can you cook chicken breasts in a frying pan? I find myself making boneless chicken breasts in a frying pan at least once a month or more because it's fast, healthy, and delicious comfort food we feel good about eating. The entire cooking process is done stovetop, so there's no need to turn your oven on. All you need is a good frying pan and a lid that fits! How do you fry chicken breast chunks? Just don't! This Pan Fried Chicken Breast recipe is also great when you need tasty, cooked cubed chicken chunks for recipes like Chicken Bacon Pasta and Chicken and Sausage Jambalaya. Cooking the chicken breasts whole help you avoid overcooking the chicken. And no one likes dried out, over cooked boneless chicken breasts! Cook the whole boneless chicken breasts to an internal temperature of just under 165 degrees F then let them sit for 2 - 3 minutes before cutting into chunks. Cooking chicken breast chunks this way also avoids you having to cut up raw chicken. 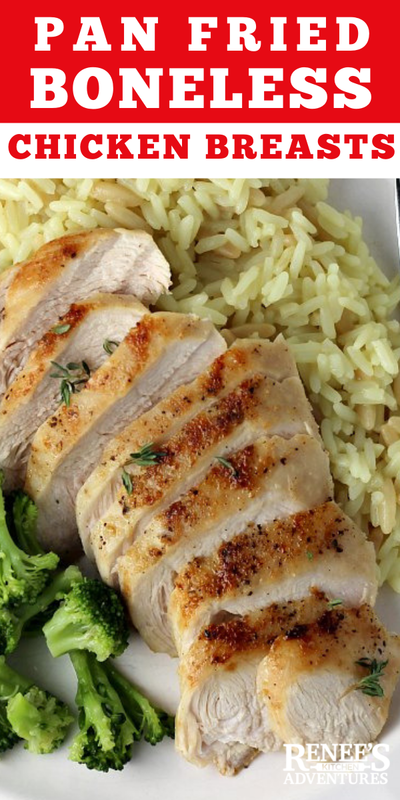 Blot boneless chicken breasts dry with a paper towel before seasoning. Moisture on the surface of the chicken breast will impede browning. Season chicken at least 30 minutes before cooking. This helps the seasonings (especially salt) absorb into the meat. Pan "fry" in a mixture of oil and butter. The butter will aid in browning and the oil will help keep the butter from burning. The butter will also add a nice flavor to the chicken breasts. Allow the chicken to rest for 2 to 3 minutes after cooking and removing from the pan before cutting into it. This will allow the juices to redistribute and help ensure a juicy boneless chicken breast. 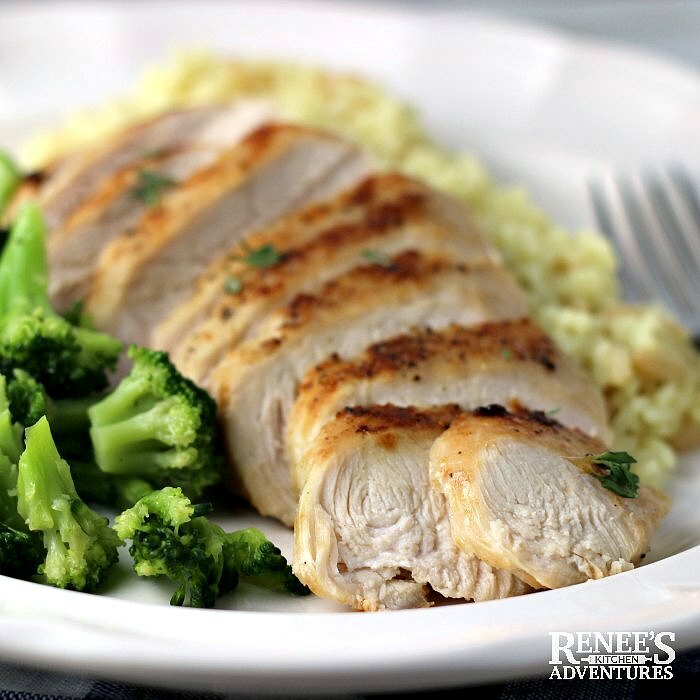 Boneless skinless chicken breasts are seasoned and pan fried in a skillet in a mixture of oil and butter for a delicious, healthy main dish protein cooked in under 30 minutes! Season both sides of chicken breasts with kosher salt, black pepper, and garlic powder. (I'm not giving amounts, because I don't measure, but if I had to guess, I would say 1/2 tsp. salt, 1/4 tsp. black pepper, and 1/2 tsp. garlic powder) Allow to sit for about 30 minutes. Heat large skillet with 1 TBSP olive oil. When oil begins to shimmer, swirl in butter until melted and bubbly. Add in chicken breasts, one at a time, taking care to not over crowd the pan. Allow chicken breasts to cook on the first side until golden brown. Do not move them while they are browning. This can take about 5 to 6 minutes or so. Turn breasts over and brown the other side. This can take another 5 - 6 minutes. 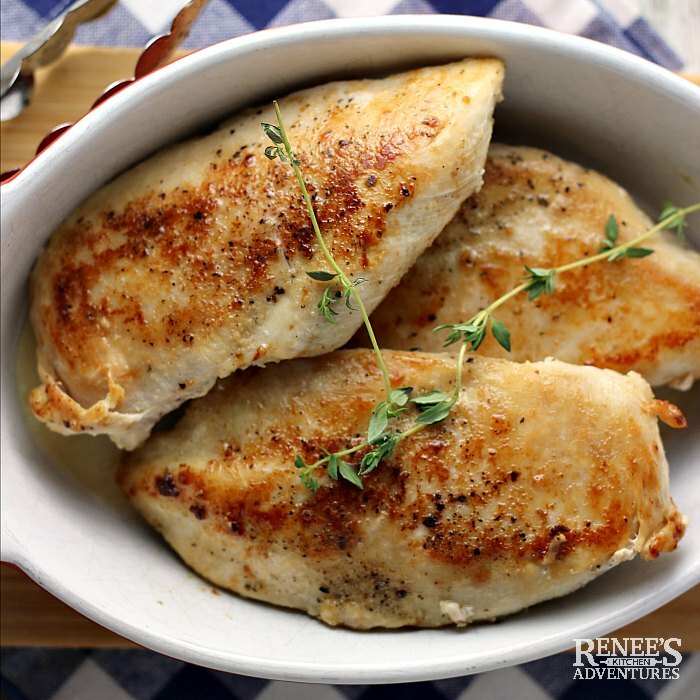 Remove chicken breasts to a platter and let rest for 2 - 3 minutes before serving or cutting into chunks for recipes. Pin Pan Fried Chicken Breast to your chicken or easy recipe boards! "Pan "fry" in a mixture of oil and butter." -- Game changer!! thanks for a great recipe and tips! Yes! Makes a huge difference in flavor and color. Thanks for stopping by! The chicken was so juicy and flavorful! Great recipe! This is definitely a great way to make chicken breasts. I cook them like this too and love it! Isn't it the best? Thanks for dropping by! Making this every week, SO DELICIOUS! Thank you so much! Thank you, we make them most weeks too! This chicken is so perfect -- golden and still juicy!